All eligible National Aero Clubs were invited to nominate the Podium (gold/silver/bronze) of the 2010 BX World Championship plus 5 pilots per eligible NAC. Wir congratulate the winners of the Championship 2018! On behalf of the Balloon Commission of the Federation Aeronautic International, the World Air Sport Federation we would like to welcome all the participating teams and officials. 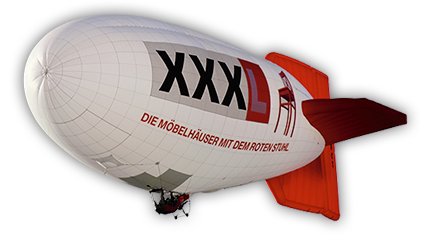 The FAI Ballooning Commission is delighted the German Aero Club and Balloon Federation has offered to host our 10th World Hot Air Airship Championship. There are several people who worked very hard to make this event happen. I would like to thank a few of them who I personally worked with regarding this event. Marita Krafczyk, President German Balloon Federation; Markus Haggeney, FAI Marketing Director; and Jakob Burkard, Former CIA Delegate for Switzerland, their efforts were instrumental in making this event happen. I want to thank my good friend Uwe Schneider, German Delegate to the FAI Ballooning Commission for his efforts. Uwe spent a lot of time keeping everything on track from rules to the sanctioning process and making sure this event would be perfect. There are many others who have done a lot to make this event happen and we at the CIA want to thank each one of you. Especially the organizer and event director Helmut Seitz and the sponsors. What a fantastic area of Germany the pilots will be flying in! It is the pilots who will bring life to this event as they fly these wonderful aircraft on their daily competition tasks. Good luck to each of ‚the competition teams, fly safe and be sure to have a good time. Welcome Note from the President of Deutscher Aero Club e. V.
a single Airship circling the skies ensures the attention of the spectators on the ground. But when 10 of those giants with their colourful balloon envelopes move around the skies while their pilots are performing the competition tasks it most certainly guarantees the admiration and the applause of all spectators. The World Championship of the Hot Air Airships is therefore not only a top event for the sportsmen but also a highlight for the residents and visitors of the picturesque “Tegernsee Valley”. This Championship perfectly fits this region. The climate, the landscape and mostly the organiser, Helmut Seitz and his Team, and the Deutscher Freiballonsport-Verband are promising a great event. dedication ensuring a smooth running of this sporting event. a successful, exciting and sunny Championship. President Deutscher Aero Club e. V.
on behalf of the Deutscher Freiballonsport-Verband e. V. and the Bundeskommission Freiballon within the Deutscher Aero Club (DAeC) we’d like to welcome all competitors and their teams to the 10th FAI World Hot Air Airship Championship – welcome to Germany at the beautiful Bavarian Lake Tegernsee. A warm ‘Thank You!’ to FAI Fédération Aéronautique Internationale with its balloon and airship commission CIA, to the organizer and initiator of this World Championship – the enthusiastic Airship Pilot Helmut Seitz as to well as his competent partner – the Tegernseer Tal Tourismus GmbH, to the Sponsors, to the Supporters and to the Patrons – to each helping hand which contributes to the success of this unique event. Air Sports only works out in cooperations and therfore all of us are required and granting for a perfect and spectator enthusing World Championship. Air Sport Events doesn’t take place behind the scenes. They are always attracting people, act as special platforms and allow high media presence. The fantastic scenery of the lovely Tegernsee Valley, its citizens as your hosts and the competitors from seven nations will contribute to charm the public and the media. We are looking forward to our event and wish all pilots, crews and officials a fair, save and exciting competition. The legend of the zeppelins is back at Lake Tegernsee! 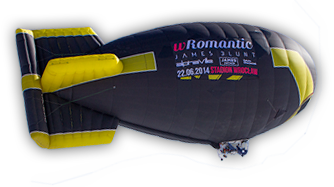 After successful German nationals, a European Championship in 2016 now the 10th World Hot Air Airship Championship. Again a huge challenge for organizers, we were happy to accept. I was pleased to organize and direct this demanding event. With this event we’d like to offer not only a challenging competition, but also the beauty and the hospitality of the Tegernsee Valley. Again, the legend of the zeppelins, elegant and apparently weightless Aerostats will enthuse the public and the media. on behalf of the DFSV e. V.